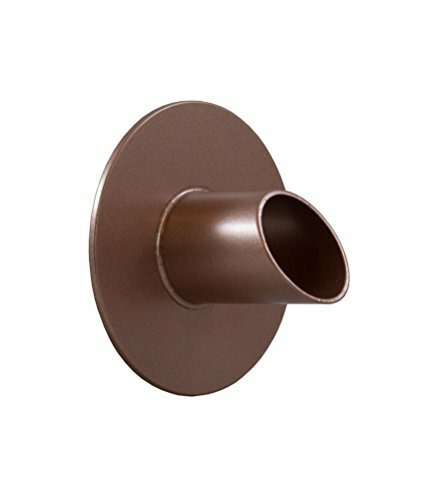 Majestic Water Spouts Waverly 1.5" Round Water Fountain Spout Scupper Spillway Emitter for Pool, Pond, Water Feature, Etc - Copper | Fountain City Art Ctr. The Waverly is an elegant and simple spout design that's been used throughout the ages. It is most suitable for water features such as outdoor living spaces, pools, spas, and fountains. This design is often used as a single spout for smaller water features or in a multiple spout configuration for a more elegant and grand look. This versatile and timeless design measures 3" long from the round back plate with a 30-degree angle cut to allow the water to flow gracefully off the rounded tip. This water spout is available in several finishes or unfinished to put your own color to. Handcrafted in the USA of Marine-Grade 316 Stainless Steel, we've selected the best materials and employed expert craftsman to ensure we deliver you a quality product. Powder coating is Pool and Spa chemical resistant. If you have any questions about this product by Majestic Water Spouts, contact us by completing and submitting the form below. If you are looking for a specif part number, please include it with your message.